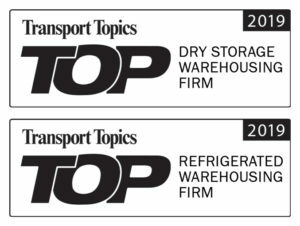 Canton, Ohio – April 18, 2019 – Peoples Services, Inc. ranks number 21 and 26 in Top Refrigerated and Top Dry Warehousing Firms respectively according to the Transport Topics’ 2019 Top 50 list of largest logistics companies in North America. Companies on the Top 50 Logistics Companies list are ranked based on net revenue for the most recent 12-month period. The list also features breakdowns of the top freight brokerage firms, air and ocean freight forwarders, dry storage and refrigerated warehouse operators and dedicated contract carriage service providers in North America. To read more about the issues facing logistics companies and to get the latest news on the trucking and freight transportation industry, visit Transport Topics at http://ttn.ws/top50. Transport Topics is the news leader in freight transportation and has been for the last 80 years. When it comes to major issues, industry events, and new developments, Transport Topics journalists are there first and most often. Our hallmark coverage of the regulatory environment and the business and technology landscapes makes TT unique — a major multimedia channel, personalized for transportation. Read daily at www.ttnews.com. Peoples Services, Inc. is a network of wholly owned 3PL companies, including Total Distribution, Peoples Cartage and Terminal Warehouse, with over 7.5 million square feet of public and contract warehouse space. Peoples Services operates 42 facilities across seven states with over 20 registered FDA food distribution facilities. In addition to medical and food grade products, the company specializes in the storage and handling of chemicals, polymers and plastics with a range of temperature-controlled and intermodal options available. Peoples Services also offers award-winning transportation, logistics and fulfillment services.. Peoples Services Inc. has shifted gears with third-generation President and CEO Douglas Sibila behind the wheel. Gone are the days when organic growth was sufficient to fuel the 104-year-old company. Now acquisitions are key to success. Fortunately for Peoples, the timing is right, and its reputation and old-fashioned who-you-know networking are driving opportunity. The number of operators in the segmented logistics and warehousing industry who are looking to exit could rise given the general success over the past few years of companies in this industry. Word has spread about Peoples’ reputation for fairness in its dealmaking approach, which gives exiting owners confidence that their employees have a future and won’t be seen as line items that can be cut to create a more profitable acquisition. And that gives Peoples a chance to absorb more companies into its regional network. To capitalize on this moment, Sibila has devised a growth strategy designed to enable Peoples to not just survive in the changing market, but thrive. Peoples’ approach to acquiring Terminal Warehouse in 2010, the deal that was the first in a series of relatively rapid acquisitions, is considered the foundation for those that followed. With the Terminal deal on the horizon, the company spent 2009 making adjustments that allowed it to remain profitable during the downturn. It also had a lot of equipment that was fully depreciated, but still had significant market value to leverage. Those factors enabled it to borrow at a time when others had trouble renewing their lines of credit, giving Peoples the chance to take advantage of the bottom of the cycle. The success of the Terminal Warehouse transaction and paying off that debt gave Sibila additional cash flow to make the next acquisition, pay it off and move on to the next. It’s also the deal that marks the start of the Douglas Sibila era, which is characterized by buying healthy rather than undercapitalized companies with an eye toward maintaining or improving Peoples’ total profit margin. Acquisitions haven’t always been wholly under Sibila’s control. When he joined the family company in 1990, Sibila spent his first decade as part of the due diligence team. When he became president around 2001, his father moved into the chairman role and began hunting for, rather than executing, deals, handing off opportunities to his son who became a majority shareholder in 2010. Today, Sibila leads a deal team that consists of a few key management staff, his father, and some outside advisers. Now before an opportunity is presented to that group, it comes through Sibila, who does a lot of the due diligence and prep work upfront. “We walk away from a lot more than we ever get serious about,” he says. To find deals, the company looks at trade magazines, networks within trade associations and fields calls from brokers it’s worked with. Sibila believes Peoples gets those calls because the company is reasonable to work with. “We keep in touch with those people and that’s why we’ve been around for 100 years. I believe in karma in the sense that if you do what’s right, things have a way of falling into place. Because we’ve handled those transactions well, not only are the sellers satisfied with how we approach things, so are the brokers,” he says. For example, when first presented with an opportunity to acquire Style Crest Logistics in 2014, a lead that came to him from a broker on an earlier deal, he was interested, but wanted to digest an acquisition that the company had recently completed. So he passed. “I even gave him a reference to a couple other people I knew in the industry,” he says. About a year later, after other transactions had fallen through, the frustrated seller came back to Peoples to see if there was interest. The timing was right and Peoples closed the deal in September of ’15. Through its current approach, the company has grown into seven states with 42 locations. It owns Peoples Cartage, Total Distribution, Crown Warehousing & Logistics, Terminal Warehousing, Quick Delivery Service, Central Warehouse Operations and most recently Grimes Logistics Services Inc. (now Grimes Total Distribution) for a total of 7.5 million square feet of warehousing space. Its revenue has doubled since 2012 and more than quadrupled from what it was in 2009. Peoples currently serves polymers; automotive and chemicals, including hazardous materials; industrial; and consumer goods. It also recently got into food. “That was a conscientious decision knowing that the customers and products we were handling were somewhat susceptible to the economic cycles,” he says. Food and food-related goods generally are countercyclical or noncyclical, because in good times or bad, people eat. “As a result, that helped us to smooth out some of the exposure and manage that exposure,” Sibila says. Geography also comes into play with Peoples preferring to acquire companies that are within its existing network or contiguous to it. The company is in the Midwest and Southeast, covering Michigan, Ohio, West Virginia, Virginia, the Carolinas and recently, Florida. Each deal not only makes Peoples fiscally stronger, but it also contributes to the strength of its management and deal teams. 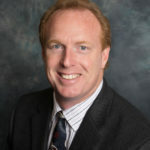 In that sense, the company’s COO and Executive Vice President, Bill Hanlon, serves a unique role in Peoples’ acquisitions. He helps with deals, but he’s also an example to acquired companies of what making a deal with Peoples is about. “I like to have him along because I can say, ‘Look, he was in your shoes seven years ago and had a lot of the same questions,’” Sibila says. Knowing the people brought in through an acquisition are going to be a little nervous — not knowing what’s going to happen to their jobs — Sibila brings Hanlon along, who was the president of Terminal Warehouse and came to Peoples as part of the acquisition, to calm the waters. The display is meant to show that Peoples’ intent is to try to integrate the existing staff and provide resources. Peoples also offers acquired employees a chance to join its profit-sharing plan and employee stock ownership plan, and works to understand what concerns or issues might exist in the acquired company. “If there is new equipment that they might need, we try and get that in there as quickly as possible so they start to see we were willing to make the investment,” he says. It’s a calculated way to create a sense of belonging — that Peoples is looking out for their best interests and that they are now a part of Peoples’ team. When looking at potential acquisitions, Sibila likes to see an engaged management team, one that isn’t hung up on hierarchy. He says it stems from a culture in which managers on his team, including himself, worked up through the ranks doing just about every job, from sweeping floors to driving trucks. He says that behavior shows a willingness to do what it takes to be part of the team as opposed to telling someone else what to do. In meetings with owners, Sibila is looking at how they interact with their employees, which can reveal more of the culture. Is it a team atmosphere or is it very hierarchal? Were people able to speak their mind? “As we’ve learned from some past acquisitions, if there are issues with the culture, you can turn it around, but it may take longer than what you had anticipated,” Sibila says. With nearly a decade of successful acquisitions behind him, Sibila has an aggressive revenue goal he expects Peoples to hit in 2020. Going beyond that will require considerations for infrastructure and resources, the potential formation of an advisory board, and access to capital beyond traditional financing, possibly through private equity or other institutional investors short of going public. Regardless of the approach, Sibila says the emphasis will be on smart growth, not just growth for growth’s sake. 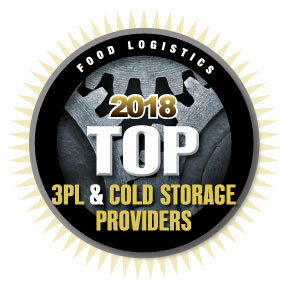 CANTON, OH — August 16, 2018 — Total Distribution, Inc. has been named to Food Logistics’ Top 3PL & Cold Storage Providers list for 2018 for providing products and services that are critical for companies in the global food and beverage supply chain. Total Distribution specializes in a variety of commodities from food grade storage and handling, polymers, plastics, chemicals and customized packaging and fulfillment services. Services include but are not limited to warehouse inventory management, temperature-controlled food-grade warehouses with bulk storage, efficient cross-docking and transloading, value-added automotive assembly, drumming and packaging facilities, and an on-site fleet of trucks and food grade trailers. About Total Distribution, Inc. / Peoples Services, Inc. Peoples Services, Inc. is a growing network of wholly-owned 3PL companies including Total Distribution, Peoples Cartage, Terminal Warehouse and Central Warehouse that provides quality supply chain logistics, freight brokerage, and asset-based transportation services. The company specializes in food grade storage along with polymers, auto, chemicals and customized packaging and fulfillment services. The American Institute of Bakers (AIB) – a trade organization with strict food safety, quality standards, and auditing processes – has certified three of Total Distribution’s food-grade facilities in the Fremont area. It has registered FDA food distribution facilities with adherence to FDA recommended security guidelines in addition to AIB auditing security practices. Peoples Services operates over 7.5 million square feet of warehouse space in 42 facilities across seven states. For more information, visit www.peoplesservices.com. 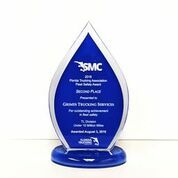 Safety Achievement and as second place for safest carrier in the State of Florida for 2018. The annual FTA Safety Management Awards are among the most prestigious awards the Association distributes. Award recipients represent impressive safety statistics in terms of both fleet operations and drivers with little or no accident history over a multi-decade career on the road. This commendation reflects the culture of safety advocated throughout Total Distribution. Operators’ experience and credentials are backed by the company’s commitment to keep their drivers and local communities safe. With over 40 years of transportation experience, TDI continues to maintain safety vigilance through technology, research and education. 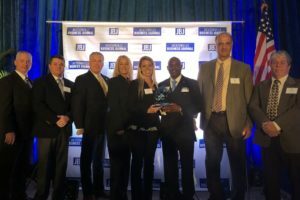 Jacksonville, Fla. – July 16, 2018 – Total Distribution, Inc. (formerly The Grimes Companies), a leader in warehousing, logistics and supply chain management, has been named one of the 2018 Jacksonville Fast 50. The Fast 50 recognizes the fastest-growing, privately held companies in Northeast Florida based on revenue growth over the past three years. 2018 marks Grimes/Total Distribution, Inc.’s third consecutive award year, ranking 24th overall this year. “We have a dynamic sales team, our existing clients are growing and we have an excellent staff,” said Total Distribution, Inc. Director of Warehouse Operations, Dusty Locke. 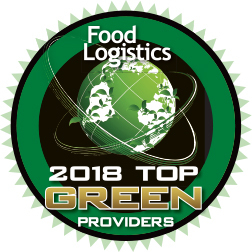 CANTON, OH — June 18, 2018 — Total Distribution, Inc. has been named to Food Logistics’ Top Green Providers list for 2018 for enhancing sustainability within the food and beverage industry through their products, services, and exemplary leadership. Total Distribution, Inc. has been recognized for their sustainable practices in the food and beverage industry by meeting Food Logistics’ stringent criteria of a “Top Green Provider”. Total Distribution positively contributes to their local communities and the environment through extensive pallet, cardboard, metal, food, and plastic recycling. This consequently diverts the waste that was intended for disposal in a landfill to be utilized in more sustainable eco-friendly ways. The company also emphasizes “Ship Green” practices to reduce their trucks’ empty miles. With 96 percent of its trucks returning with a “backhaul” shipment. Their sustainability focus saves fuel, reduces pollution and saves money. Total Distribution, Inc. is a brand of the Peoples Services, Inc., a family owned third-party logistics company that provides quality logistics, freight brokerage and asset-based transportation services. The company specializes in food grade storage along with polymers, auto, chemicals and customized packaging and fulfillment services. The American Institute of Bakers (AIB) – a trade organization with strict food safety, quality standards and auditing processes – has certified three of Total Distribution’s food-grade facilities in the Fremont area. It has registered FDA food distribution facilities with adherence to FDA recommended security guidelines in addition to AIB auditing security practices. Peoples Services operates over 7.5 million square feet of warehouse space in 42 facilities across seven states. For more information, visit www.peoplesservices.com. Peoples Services, Inc. has acquired the assets of Grimes Logistics Services, Inc. Peoples Services, Inc., headquartered in Canton, Ohio has acquired the assets of Grimes Logistics Services, Inc., based in Jacksonville, Florida. Doug Sibila, Chief Executive Officer of Peoples Services said “the seven new locations will expand our regional footprint in the Southeast and improve the service levels and flexibility to Grimes customers”. Founded in 1972, Grimes Logistics Services, Inc. has offered experience and expertise in the logistics and transportation industry for over 46 years. Grimes boasts five successful divisions, a growing fleet of trucks, multiple 3PL warehouses in Jacksonville, and employs more than 100 logistics professional experts. Grimes was named one of the fastest growing companies based in Jacksonville, FL more than 6 times since 2007. In addition to its numerous business awards, Grimes also has been a consistent contributor to the Jacksonville community. The 3PL logistics company has contributed to a variety of non-profits and local organizations including The Jacksonville Zoo, Hubbard House, Field of Dreams, Operation New Hope, the Jacksonville Sharks, and Jacksonville Rotary. The acquisition will increase PSI approximately 20%. The combined businesses will operate over 7.5 million square feet of contract and public warehouse space located in seven states and 42 facilities in Akron, Barberton, Brooklyn Hts., Canton, Cleveland, Clyde, Columbus, Dayton, Fremont, Mogadore, Massillon, Navarre and Norwalk OH; Midland and Saginaw, MI; Parkersburg and Nitro, WV; Norfolk and Salem, VA; Charlotte and Winston-Salem, NC; Charleston and Greenville, SC; Atlanta, GA and Jacksonville, FL. The PSI network offers a range of specialized material handling and storage services including many value-added activities such as drumming, milling, tolling, packaging, kitting, inventory management, transloading, cross docking, transportation and brokerage services. Many facilities are rail served. Peoples Services is ISO 9001:2015 certified and is a member of the International Warehouse Logistics Association (IWLA), the Ohio Trucking Association (OTA), the American Trucking Association (ATA) and the Warehouse Education Research Council (WERC). Five Ohio facilities have achieved the OSHA SHARP designation (Safety and Health Achievement Recognition Program) for their reduction of hazards and low injury rates. They are also partners of the ACC Responsible Care Management and the NACD Responsible Distribution Systems. In addition, Peoples Services was recently ranked in the Top 30 3PL companies in the country as listed in Transport Topics and has been recognized by Smart Business, local Chamber of Commerce, Weatherhead 100 and the SBA for many awards for business excellence. Grimes Logistics Services, Inc. will operate as Grimes Total Distribution, Inc. as a fully owned subsidiary of Peoples Services. Visit www.peoplesservices.com or www.grimescompanies.com. The recent acquisition of B&M Storage and Distribution has allowed Peoples Services to expand its operations in North Carolina. Peoples Services added the operation, based in Winston-Salem, N.C., in December. Peoples already had facilities in the Charlotte area. Adding B&M enhances Peoples Services’ footprint in the southeastern United States, and improves service levels and flexibility to B&M customers. The operation had 90,000 square feet of warehouse space and 60,000 square feet of freezer space, along with several acres of property. Canton-based Peoples Services has 37 facilities in six states, and operates more that 6.5 million square feet of contract and public warehouse space. The company offers a range of specialized material handling and storage services, including packaging, inventory management, brokerage services and transportation. Many of the company’s facilities have rail access. Founded in 1914 as Peoples Cartage, the company is family owned with Doug Sibila, chief executive officer, the third generation to lead the operation. 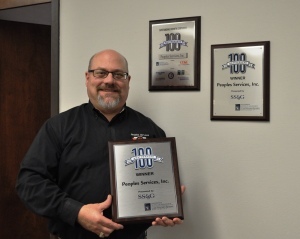 Peoples Services ranks among the country’s 100 largest third-party warehouse logistics companies. Sibila is the third generation to lead Peoples Services, which today includes 36 facilities across six states. Ronald R. Sibila, Doug Sibila’s father, and three of his siblings are also involved with company operations.Although the Sibila family remains at the helm, Peoples Services has changed significantly over its more than 100 years in business. 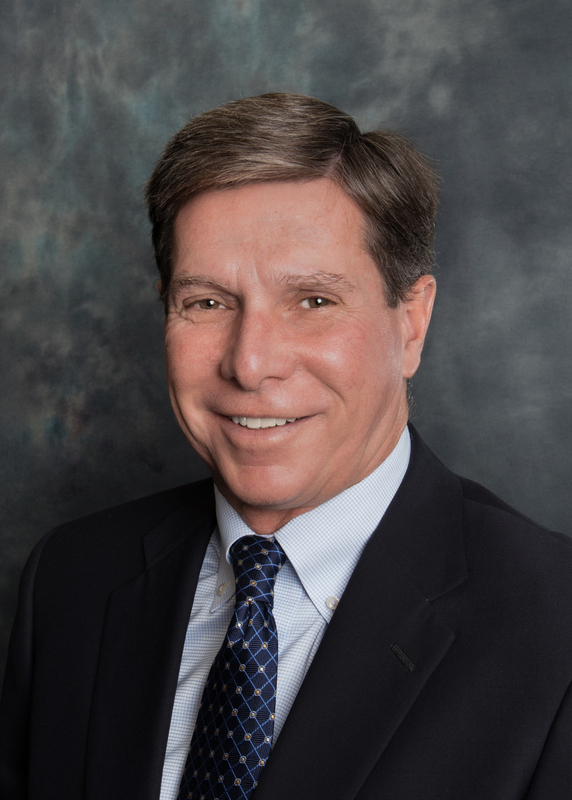 During the Annual Conference of the Ohio Trucking Association, Doug Sibila, CEO of Peoples Services, Inc. in Canton, Ohio was named OTA’s 47th Chairman of the Board. Members since 1948, Mr. Sibila follows in the footsteps of his father, Ronald Sibila, who served as the highest elected official of the 98 year old organization from 1973-1975. The Sibila’s are the third father/son combination to have served as Chairman of OTA. As Chairman of the Board, Mr. Sibila will lead the Board of Trustees and the association through the next two years as the association approaches it’s 100th birthday in 2018. OTA is a statewide trade organization representing over 850 trucking companies and associated businesses. 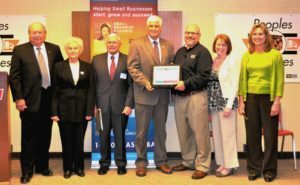 Stark County’s Peoples Services, Inc.
CANTON, OHIO… September 27, 2016—Peoples Services, Inc., a third-generation family owned business located in Stark County, was recently presented the 2016 Family Business Achievement Award during the Family Business Conference at Cuyahoga Community College. Based on values and a dedicated work ethic, the Canton-based Peoples Services, Inc. operates 34 facilities that service the automotive, chemicals, consumer goods, food grade, industrial and polymers industries throughout Ohio, Michigan, the Carolinas, Virginia and West Va.
“We employ more than 500 people and offer great opportunities for both family and non-family members. All family members are required to gain real world experience outside of the company prior to full-time employment at Peoples Services, Inc. As they enter the company, they begin at an entry-level position or one that suits their talents and experience,” explained Peoples Services, Inc.’s Ron Sibila, CEO and Chairman of the Board. Company employees are actively involved in community organizations including the Stark Development Board Team NEO, Massillon Development Foundation, Stark County Port Authority, Stark State College, Boy Scouts of America, American Cancer Society, St. Jude’s Children Hospitals, Catholic Schools and Charities, Aultman Foundation, Mercy Hospital, local chambers of commerce, Jaycees, the local food bank and churches and beyond. Family Business Achievement Award nominations were considered through a nomination process and based on history and evolution of the company; positive family-business linkage; multiple generation family business involvement; innovative business practices and succession planning strategy; non-family member engagement; and outside resources. Peoples Services, Inc. Peoples Services, Inc. is a network of companies dedicated to providing third party logistics services, operating over 6-million square feet of public and contract warehouse space throughout six states. Through specialization in a variety of commodities from chemicals and plastics to consumer goods, Peoples Services, Inc. is a partner of the American Chemistry Council Responsible Care® Program and has achieved the SHARP (Safety and Health Achievement Recognition Program) designation for their reduction of hazards and low incident rates at five Ohio facilities. For more information, visit www.peoplesservices.com. Peoples Services top executive Doug Sibila has been named a director with Team Northeast Ohio. The Canton Regional Chamber of Commerce has lined up speakers for June to cover development of midstream operations in the Utica Shale. The third generation leader of a century-old Stark County business has joined the board of Team Northeast Ohio. 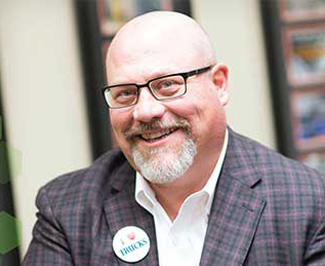 Doug Sibila, president and chief executive officer of Peoples Services, has been selected by Team NEO’s directors to board seat. The board overseas Team NEO and is responsible for leading efforts to implement Northeast Ohio’s regional economic competitiveness strategy, which is a plan business and philanthropic leaders developed as a guide for the region’s growth. The board has 19 members selected from businesses, organizations and foundations around Northeast Ohio. Other Stark County members are Mark J. Samolczyk, president of the Stark Foundation, and Tim Timken, chairman, chief executive officer and president of TimkenSteel. 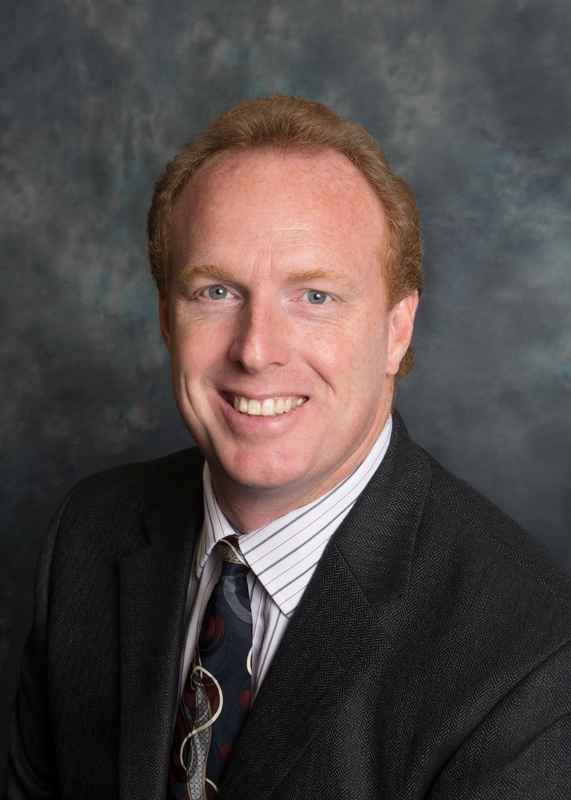 Stephen Paquette, president of the Stark Development Board, is one of six special directors. Sibila graduated from Notre Dame and worked several years for Anderson Consulting ( now Accenture) before joining the family business in 1990. He was named president and chief operating officer in 2001 and has been CEO since 2004. 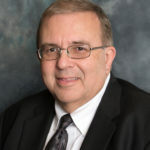 He also serves on the Stark County Port Authority, Stark Development Board, Ohio Trucking Association executive committee, Aultman Health Foundation and Buckeye Council Boy Scouts executive board. The Canton Regional Chamber of Commerce is pleased to announce the 2016 winners of the Business Excellence Awards of Greater Canton. The Business Excellence Awards salute companies that have distinguished themselves in areas such as entrepreneurship, longevity, growth, innovation, capital improvements, and consistent involvement in the community. Winners of the Business Excellence Awards will be honored on Tuesday, May 3, at a ceremony and dinner at The Conference Center, Kent State University at Stark (6000 Frank Ave. NW, North Canton, OH 44720). Peoples Services, Inc., headquartered in Canton, Ohio has acquired the assets of Style Crest Logistics, Inc., based in Fremont, Ohio. Doug Sibila, Chief Executive Officer of Peoples Services said that the seven new locations will enhance our regional footprint throughout the Midwest and Southeast and improve the service levels and flexibility to SCL customers. SCL operates several food-grade storage facilities that have the American Institute of Baking certification. The combined businesses will operate over 6 million square feet of contract and public warehouse space located in six states and 32 facilities in Akron, Barberton, Brooklyn Hts., Canton, Cleveland, Clyde, Columbus, Dayton, Fremont, Mogadore, Massillon, Navarre and Norwalk OH; Midland and Saginaw, MI; Parkersburg and Nitro, WV; Norfolk and Salem, VA; Charlotte, NC; and Charleston and Greenville, SC. The PSI network offers a range of specialized material handling and storage services including many value-added activities such as drumming, milling, tolling, packaging, kitting, inventory management, transloading, cross docking, transportation and brokerage services. Many facilities are rail served. Peoples Services is ISO 9001:2008 certified and belongs to the International Warehouse Logistics Association (IWLA), the Ohio Trucking Association (OTA), the American Trucking Association (ATA) and the Warehouse Education and Research Council (WERC). Five Ohio facilities have achieved the SHARP Designation (Safety and Health Achievement Recognition Program) for their reduction of hazards and low incident rates. They are also partners of the ACC Responsible Care program. Warehouse and trucking personnel are trained in the handling and storage of hazardous materials and chemicals. Peoples Services is one of the top 100 privately held third-party warehouse logistics companies in the country. Doug Sibila is the third generation of family ownership, which traces its roots back to Peoples Cartage, a trucking company founded in Ohio in 1914. In 2012 through 2015, Peoples Services has been recognized as one of the top 100 fastest growing companies in NE Ohio by Weatherhead 100 (and the oldest company in the 100). Also, in 2012 Peoples Services won the U. S. Small Business Administration’s (SBA) Jeffrey Butland Family-Owned Business of the Year Awards for the state of Ohio and the entire SBA Midwest Region. Style Crest Logistics, Inc. will now operate as Total Distribution, Inc., as a fully owned subsidiary of Peoples Services, Inc. Visit www.peoplesservices.com or www.stylecrestlogistics.com. NAVARRE, OH… The Occupational Health and Safety Administration recently granted the Navarre, Ohio, Peoples Cartage, Inc. location membership into the Safety and Health Achievement Recognition Program (SHARP). The Navarre, Ohio, location extends the list of many other Peoples Services, Inc. locations serving as a Region V SHARP member. Peoples Services, Inc. is the parent company of Peoples Cartage, Inc. The duration of the membership lasts until May 14, 2017. Peoples Cartage, Inc. consists of 162,000 square feet and offers racked, as well as floor storage. The facility provides food-grade storage areas, repacking services, and an on-site fleet of dry bulk and dry van equipment. Peoples Services, Inc. is a network of companies dedicated to providing third party logistics services, operating over 5-million square feet of public and contract warehouse space throughout six states. Through specialization in a variety of commodities from chemicals and plastics to consumer goods, Peoples Services, Inc. proudly leads the logistics industry and provides short-term and long-term storage services. Peoples Services, Inc. traces its roots to 1914 when it operated in Massillon as a storage and furniture moving company. In 1946, Ray Sibila, owner of Sibila Trucking, bought Peoples Cartage. The company branched into public warehousing in the late 1960s. In 1992, they incorporated as Peoples Services, Inc. and moved their headquarters to Canton, Ohio. The company now has warehousing services available in West Virginia, Virginia, Michigan, North Carolina, South Carolina and Ohio. For more information, visit www.peoplesservices.com. February 16, 2015 CANTON, OH… People Services, Inc., a Canton-based, third-generation logistics company that provides warehousing and transportation services, has placed 50th in the Weatherhead 100, an event that highlights the fastest growing companies in Northeast Ohio. Due to a 155.22% sales increase over a five-year span, People Services, Inc. took home the Weatherhead 100 Award on Thursday, December 4, 2014, for the third consecutive year. “To qualify, companies had to have sales of at least 100,000 dollars in 2009 and over 1 million dollars in 2013, not to mention a minimum of 16 employees working full-time. People Services, Inc. had 413 employees in 2013,” said PSI Chief Executive Officer, Doug Sibila. “Our outlook for the upcoming year is looking even more promising.” The Weatherhead School of Management at Case Western Reserve University uses a ranking system that acknowledges and brings together the region’s fastest growing companies. Since 1978, the Weatherhead 100 has singled out qualifying companies that have shown consistent growth over a five-year period. The event is intended as a venue for encouraging the spirit of entrepreneurialism and rewarding companies that serve as an inspiration to businesses in Northeast Ohio. People Services, Inc. supports more 400 employees at 21 sites and operates in six states: Ohio, Michigan, North Carolina, South Carolina, Virginia, and West Virginia, providing more than five million square feet of warehouse facilities. Peoples Services, Inc. traces its roots to 1914 when it operated in Massillon as a storage and furniture moving company. In 1946, Ray Sibila owner of Sibila Trucking, bought Peoples Cartage. The company branched into public warehousing in the late 1960s. In 1992, they incorporated as Peoples Services, Inc. and moved their headquarters to Canton, Ohio. For more information, visit www.peoplesservices.com. “We were especially happy to see many young people in our audience. 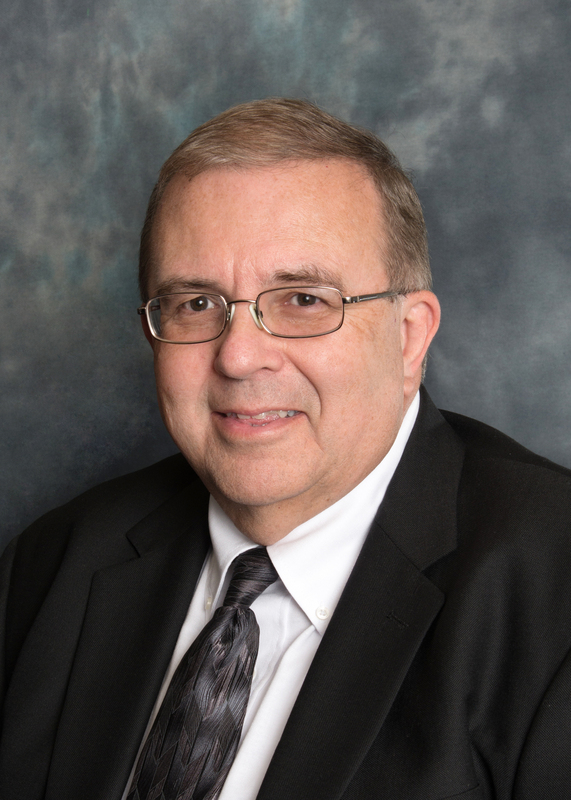 It is very important for everyone to get out and learn more about the candidates and what they stand for and get their vote in … every vote does count!” Doug Sibila, CEO/President, Peoples Services, Inc. Check out the Peoples Services radio broadcast from Sports Time Machine running on WHBC Saturdays at noon! September 2013 – Peoples Services, Inc., Acquires Michigan-Based Central Warehouse Operations, Inc. Peoples Services, Inc., headquartered in Canton, Ohio has acquired Michigan based Central Warehouse Operations, Inc., from Central Warehouse Company. Doug Sibila, Chief Executive Officer of Peoples Services said that the three new locations will improve service levels and flexibility of a small company with the resources of a larger company. PSI has always been focused on customer service. This acquisition broadens the scope of services and locations to the benefit of clients of both Peoples Services and Central Warehouse Operations. The combined businesses will operate over 5 million square feet of contract and public warehouse space located in six states and 20 different facilities; Akron, Barberton, Canton, Cleveland, Columbus, Hebron, Mogadore, Navarre, Massillon, and Vandalia, OH; Midland and Saginaw, MI; Parkersburg and Nitro, WV; Norfolk and Salem, VA; Charlotte, NC; and Simpsonville, SC. The company offers hazardous materials handling and storage, containment, climate controlled storage, drumming, milling, tolling, packaging, kitting, drop ship, inventory management, foreign trade zones, transloading, transportation and brokerage services. Many facilities are rail served. Peoples Services is ISO 9001:2008 certified and belong to the International Warehouse Logistics Association (IWLA), the Ohio Trucking Association (OTA), the American Trucking Association (ATA) and the Warehouse Education Research Council (WERC). Five Ohio facilities have achieved the state’s Safety and Health Achievement Recognition Program (SHARP) for their reduction of hazards and low incident rates. Warehouse and trucking staff are trained in the handling and storage of hazardous materials and chemicals. Peoples Services is one of the top 100 privately held third-party warehouse logistics companies in the country. Doug Sibila is the third generation of family ownership, which traces its roots back to Peoples Cartage, a trucking company founded in Ohio in 1914. 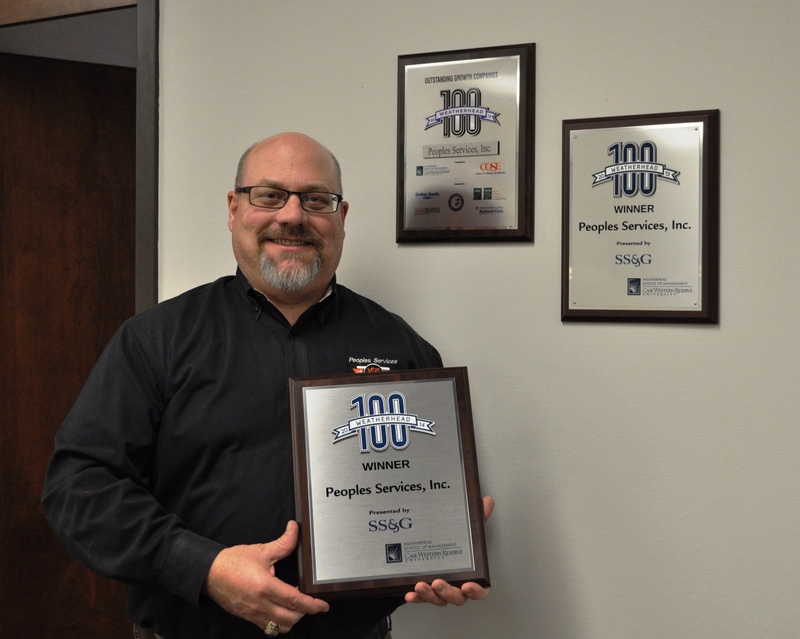 In 2012, Peoples Services was recognized as one of the top 100 fastest growing companies in NE Ohio by Weatherhead 100 (and the oldest company in the 100). 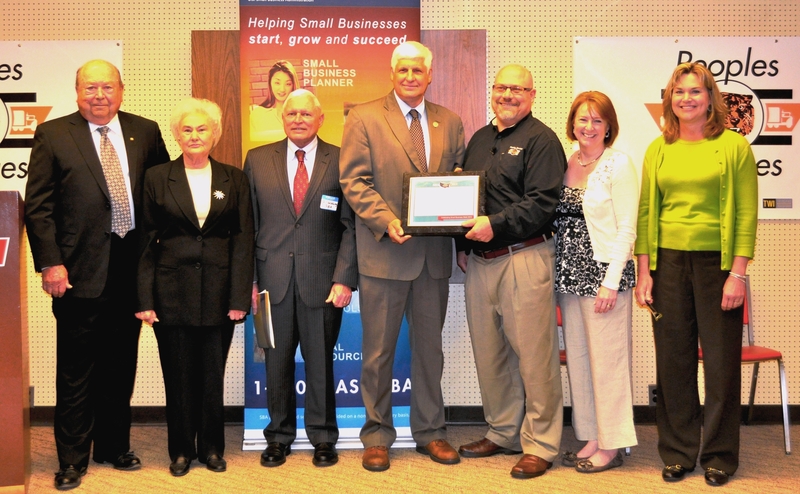 Also, in 2012 Peoples Services won the U. S. Small Business Administration’s (SBA) Jeffrey Butland Family-Owned Business of the Year Award for the state of Ohio and the entire SBA Midwest Region. Central Warehouse Operations, Inc., will continue to do business under that name as a fully owned subsidiary of Peoples Services. Central Warehouse Company will become Central Equity Investments, Inc., and will continue to operate its industrial, commercial and residential real estate subsidiary, Central Property Development. For more information on Peoples Services and Central Warehouse Operations, Inc., visit www.peoplesservices.com or www.central-warehouse.com. 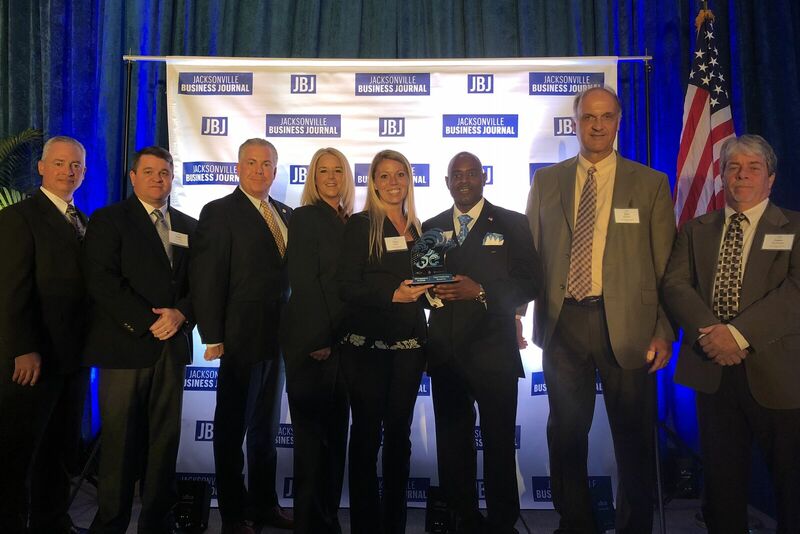 CANTON Peoples Services Inc., a third party provider of transportation, warehouse management and packaging services recently received the U.S. Small Business Administration’s (SBA) Jeffrey Butland Family-Owned Business of the Year Award. The award, given to a family-owned and operated business passed from one generation to the next and that has at least a 15-year track record, was presented at Peoples’ headquarters, 2207 Kimball Rd. in Canton, by SBA District Director Gil Goldberg. U.S. Rep. Jim Renacci, R-16, helped recognize the company. The Butland award judges a small business on success as measured by sales and profits; increased employment opportunities for both family and non-family members; demonstrated potential for long-term business and economic growth; and voluntary efforts to strengthen family-owned businesses within the community. Once selected as the Cleveland winner, Peoples’ nomination package was sent to SBA’s Midwest region office where the company competed against award winners from the Columbus, Illinois, Indiana, Michigan, Minnesota and Wisconsin districts. Peoples Services traces its roots to 1914 when it operated in Massillon as a storage and furniture moving company. In 1947, Ray Sibila, owner of Sibila Trucking, bought Peoples Cartage. The company branched into public warehousing in the late 1960’s. In 1992, they incorporated as Peoples Services, Inc. and moved their headquarters to Canton. The company now has warehousing services in West Virginia, Virginia, Tennessee, the Carolinas and Ohio. CANTON Peoples Services, Inc. a public warehousing and transportation company with headquarters located in Canton, announces the promotions of Larry Kelly to Chief Financial Officer, William Hanlon to Chief Operating Officer and Executive Vice President and Gregory Hughes to Vice President of Operations. Kelly is a second generation employee and an integral part of Peoples Services for the past 36 years. 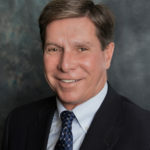 Hanlon was president of Terminal Warehouse, Inc. before it was acquired by Peoples in November 2010 and has been with the company since 1993. Hughes joined the company in 2001. All three men began their new roles in May 2012. “Our success as a company depends in large on the core values established by my grandfather (Ray Sibila) when he started Sibila Trucking back in 1936,” said Doug Sibila, the company’s president and chief executive officer. “Our commitment to those values can be seen as we strive to promote from within whenever possible.” Peoples Services traces its roots to 1914 when it operated in Massillon as a storage and furniture moving company. In 1946, Ray Sibila bought Peoples Cartage. The company branched into public warehousing in the late 1960’s. In 1992, they incorportated as Peoples Services, Inc. and moved their headquarters to Canton. CANTON… Peoples Services, Inc, a Canton-based third-generation logistics company that provides warehousing and transportation services, has placed 50th in the Weatherhead 100, an event that highlights the fastest growing companies inNortheast Ohio. PSI’s selection was based off of its 85% sales growth over the past five years. The company was honored amongst the other winners at the Weatherhead 100 awards on Tuesday, December 4, 2012, at a black-tie awards banquet inMayfield Heights. Weatherhead wasn’t the only one to acknowledge Peoples Services’ success this year. Earlier this spring, PSI was awarded the U.S. Small Business Administration’s (SBA) Jeffrey Butland Family-Owned Business of the Year Award. Also, President and Chief Executive Officer, Doug Sibila, was chosen to be the send-off speaker at this year’s Smart Business Family Business Conference in September. “We are grateful for the opportunity to be included in this year’s Weatherhead 100,” said Sibila. “As a third-generation, family-owned business, it’s an honor to be recognized for our efforts.” Since 1987, the Weatherhead 100 has singled out qualifying companies that have shown consistent growth over a five-year period. The event is intended as a venue for encouraging the spirit of entrepreneurialism and rewarding companies that serve as an inspiration to businesses inNortheast Ohio. The Weatherhead School of Management atCaseWestern ReserveUniversityuses a ranking system that acknowledges and brings together the region’s fastest growing companies. Peoples Services supports more than 425 employees and operates in six states: Ohio,North Carolina,South Carolina,Virginia,West VirginiaandTennessee, providing more than 4.5 million square feet of storage space in state-of-the-art warehouses. Peoples Services traces its roots to 1914 when it operated in Massillonas a storage and furniture moving company. In 1947, Ray Sibila, owner of Sibila Trucking, bought Peoples Cartage. The company branched into public warehousing in the late 1960s. In 1992, they incorporated as Peoples Services and moved their headquarters to Canton, Ohio. For more information, visit www.peoplesservices.com. Click on link below to read an article from Transportation & Logistics International about Peoples Services that was published July 2013.